Law’s 2nd annual Texas Showdown started at the beautiful Hilton Garden Inn at the Rim, on Friday, June 24th. 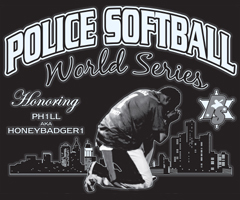 A team mixer with plenty of food, adult beverages, inspiring words from Father Danny Hubble and ending with an exclusive look at the “Good Cop, Bat Cop” video produced from the 2015 Policesoftball.com World Series was a great kickoff to the tournament. The next day found the teams showing up to the fields for a Texas breakfast specialty, barbacoa tacos, along with free face painting for kids. The San Antonio Police Officers Association event barbeque pit was on hand to provide food and drinks along with a covered tailgate trailer with TV, free beer, and music for the players to enjoy during the down time between games. 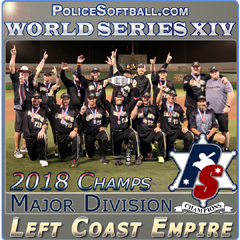 Once the softball began, the battling for the top seed in a 2 game round robin found the #7 ranked Missouri Lawmen and the #21 ranked Texas Law taking the top seeds, setting up the highly anticipated matchup between the two Majors teams. After the presentation of our great country’s colors by the Boerne VFW Post 688, the Home Run Derby commenced. The players, using their own bats and hitting the super popular Ultimate Evil Stadium Edition balls, provided a very entertaining derby for the fans. The distance of the hits were amazing and ultimately saw pitcher Shawn Rogers of the Missouri Lawmen and Albert Gonzalez of the Laredo Guns/Choir Boys, in the battle for the H.R. Derby title. In the end, Shawn’s consistency won out and earned him the H.R. Derby title along with a plaque and Combat Virus bat, donated by one of this year’s “Future Stars of the NOW” managers, Terry Dugan of Lockdown Sports. 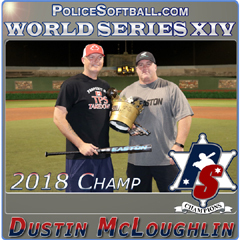 Terry did not hesitate to donate multiple bats to the Texas Showdown and expressed his excitement to again support police softball in Texas. 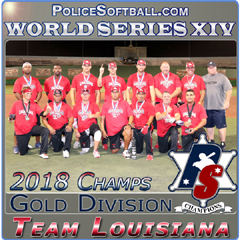 The double elimination tournament started with the #50 ranked Lone Star Police Softball (formally Texas Cartel) advancing past their first game to face the Missouri Lawman and the Laredo Guns/Choir Boys facing off against Texas Law. Both Missouri and Texas won their games, setting up the match up many expected in the finals. Missouri won the flip at the plate so Texas went to work first, putting up 5 in the first inning. Missouri came up and won the inning putting up 9 as a response. The game continued with both teams making great defensive stands, but after a few missed opportunities to score by Texas Law, Missouri ended the game handing Texas Law their first loss with a score of 17-9. Lone Star Police Softball won their next game to face Laredo Guns/Choir Boys. 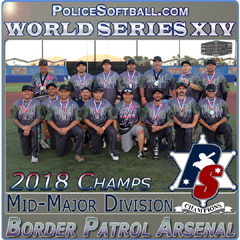 Although Laredo Guns/Choir Boys are not yet a part of the Policesoftball.com circuit, they played like they were a ranked team. 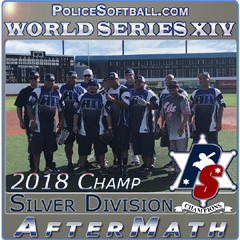 Great sticks and a never die attitude allowed the Laredo Guns/Choir Boys to get past the always competitive Lone Star Police Softball team to face Texas Law in a chance to advance to the finals. The Laredo Guns/Choir Boys went up early on the Texas Law, forcing Texas Law to scratch little by little to work their way back to being down by two entering the last inning. Although Texas Law went up by one during their last at bat, the Laredo Guns/Choir Boys had won the all-important flip in the beginning of the game and had the hammer. Putting on one runner and ending the game with a walk off, two run shot, the shock of the tournament had taken place. 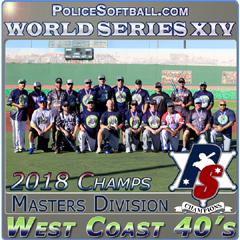 During the championship game, the Missouri Lawmen proved too much for the Laredo Guns/Choir Boys and ended the tournament definitively with a run rule. 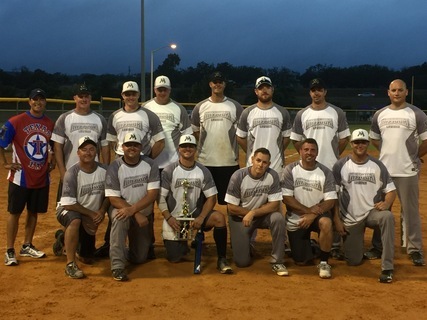 The Missouri Lawmen left Texas with the championship title and a great prize package, including Full Sub Dye Championship Jerseys sponsored by Kevin Cooper of Powerhouse Sports. Gabriel Trinidad of Lighting Inc.
1 Rolling cooler with case of beer.